Clean air is something we all need. • A complex system. While many people think that the entirety of the exhaust system is just the muffler, they are wrong. According to the automotive technicians at Fairlawn’s Rad Air Complete Car Care and Tire Centers, exhaust is moved away from a car through a variety of parts that include a catalytic converter, piping systems and oxygen sensors. • Protects more than just people. The goal of the exhaust system is more than just to keep fumes away. In fact, the mechanics at Fairlawn’s Rad Air Complete Car Care and Tire Centers, say that it actually protects the environment. Aspects of the system convert carbon monoxide and hydrocarbons into water vapor through the catalytic converter. As you know, water byproducts are absorbed by the natural surroundings. • Keeps poison away from your family. Exhaust fumes can kill. Luckily, the exhaust system diverts toxic fumes away from the passengers by directing them under the car and out the back, away from people. • You save money. Oxygen sensors installed in your car’s exhaust system make sure that your car is burning fuel efficiently. Believe it or not, a malfunctioning oxygen sensor is the most common reason that you may see a check engine light, according to the experts at the Fairlawn Rad Air Complete Car Care and Tire Centers location. Don’t take your exhaust system for granted. Though it does keep your car quiet, it does much more than that. 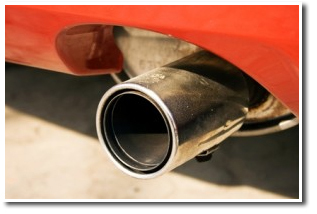 The exhaust system plays a critical role in keeping you safe as you run errands and go to work. Concerned that your system isn’t working well? Contact the Fairlawn Rad Air today!